Plug in modules that produce a semi-sweeping turn signal effect. Modules will function with all post-facelift models outside of North America and cars with Europrice post-facelift taillight upgrades. *Note that these modules will NOT work with stock North American A5, S5 or RS5 taillights due to a combined brake and turn signal inside of the inner taillight. 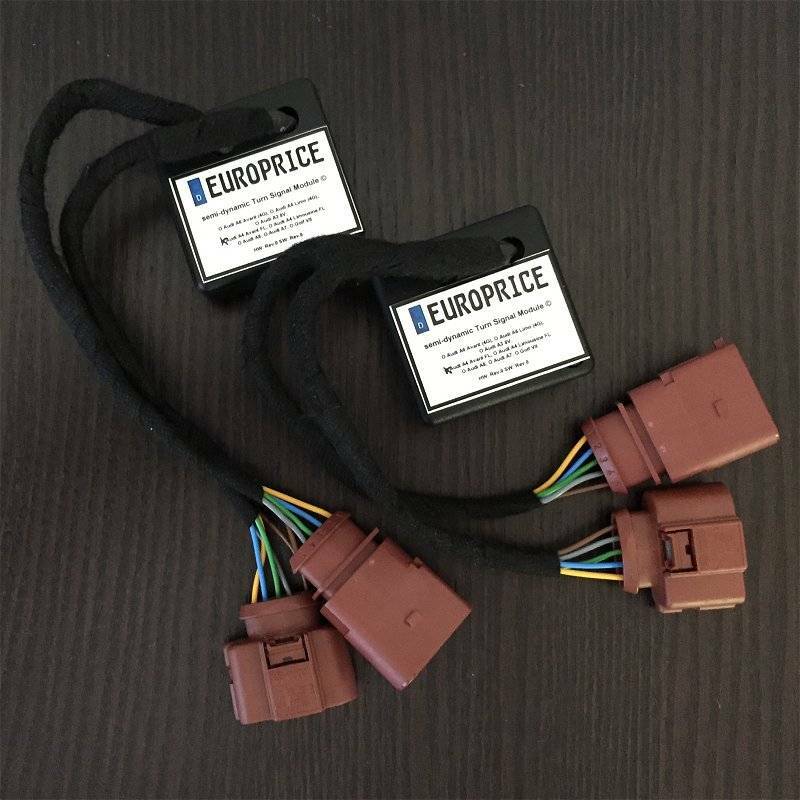 North American A5, S5 and RS5 owners would need to upgrade to the European Taillights to use these modules.